The Derby Festival’s roundball activities kick off with Derby Festival Night of the Future Stars. The event is held every year on the night before the Derby Festival Basketball Classic. 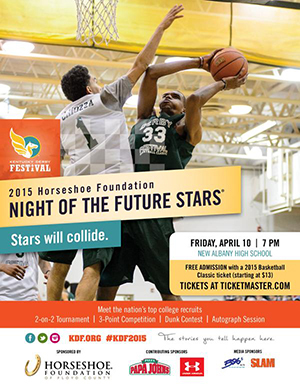 The 2015 Night of Future Stars Event will be held on Friday – April 10th – Admission is free with a ticket to the Classic. 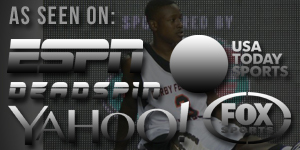 Some of the event’s most exciting moments have come during the Slam Dunk, 2-on-2 contests and the 3-point Shootout. The competition also features an autograph-signing session immediately following the event. Players such as Jamal Mashburn, Moses Malone, Derek Anderson, Rex Chapman, Dominique Wilkins, Pervis Ellison, Isiah Thomas, Darrell Griffith and Dajuan Wagner have starred in the Classic.